Jurgen Klopp has named a 21-man squad for Liverpool’s Champions League quarter-final decider at Porto on Wednesday, with the Reds flying out to Portugal. The Reds are on their way to Porto, where the manager will hold his pre-match press conference at 7pm (BST), previewing a key tie in Europe. 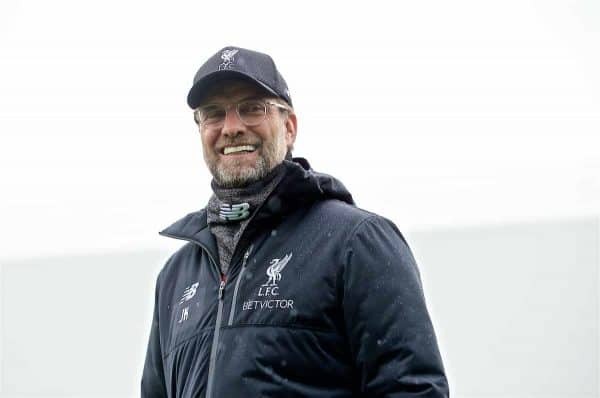 After the 2-0 win at Anfield last Tuesday, Klopp finds himself in a strong position as he prepares his side, having avoided conceding an away goal and building more momentum with victory over Chelsea on Sunday. 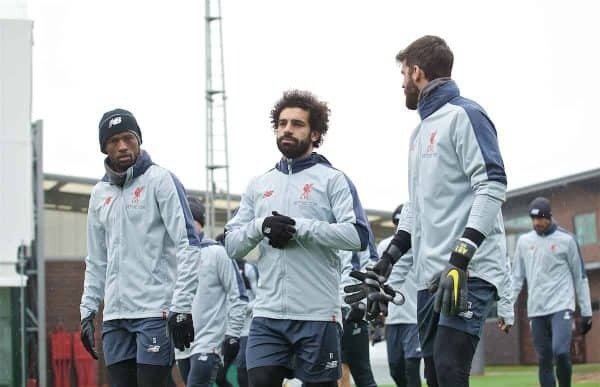 Dejan Lovren (illness) missed training ahead of Liverpool’s trip, as did both Alex Oxlade-Chamberlain and Rhian Brewster, but Joe Gomez and Adam Lallana were present and have both been included in the travelling squad. Ki-Jana Hoever is the only player in the squad at Melwood in the morning to have been omitted, with Caoimhin Kelleher the sole academy representative. This 21-man group makes Klopp’s selection relatively easy to predict, with it expected that the back four of Trent Alexander-Arnold, Joel Matip, Virgil van Dijk and Andy Robertson starts in front of Alisson. Mohamed Salah, Sadio Mane and Roberto Firmino will likely be retained in attack, with heavy rotation not wise at this stage. But the big question comes in midfield, with Lallana’s return fleshing out a six-strong group that could allow the manager to shuffle his pack. Fabinho could keep his place in the No. 6 role, but alongside the Brazilian it could be any two of Jordan Henderson, Naby Keita, Gini Wijnaldum or James Milner, with Lallana a possible candidate against Cardiff on Sunday.